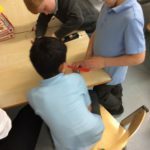 Room 7 have been learning to create a simple circuit this week. 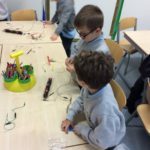 They were given wires, batteries, bulbs and motors to experiment with. 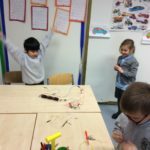 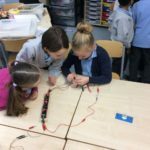 The children quickly discovered that in order for their circuit to work it had to be a ‘continuous loop’ of energy with no breaks to the circuit! 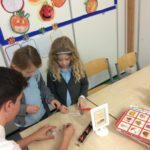 Thank you to Josh our visiting S6 Science Ambassador for helping us discover our inner scientists!